Join Our FREE Design Challenge!! 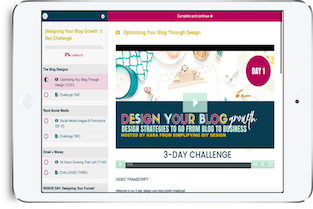 Sign up for our free 3-day Design Your Blog Growth & Learn How to Use Design to create a HIGH converting blog! Join Our FREE Design Library!! 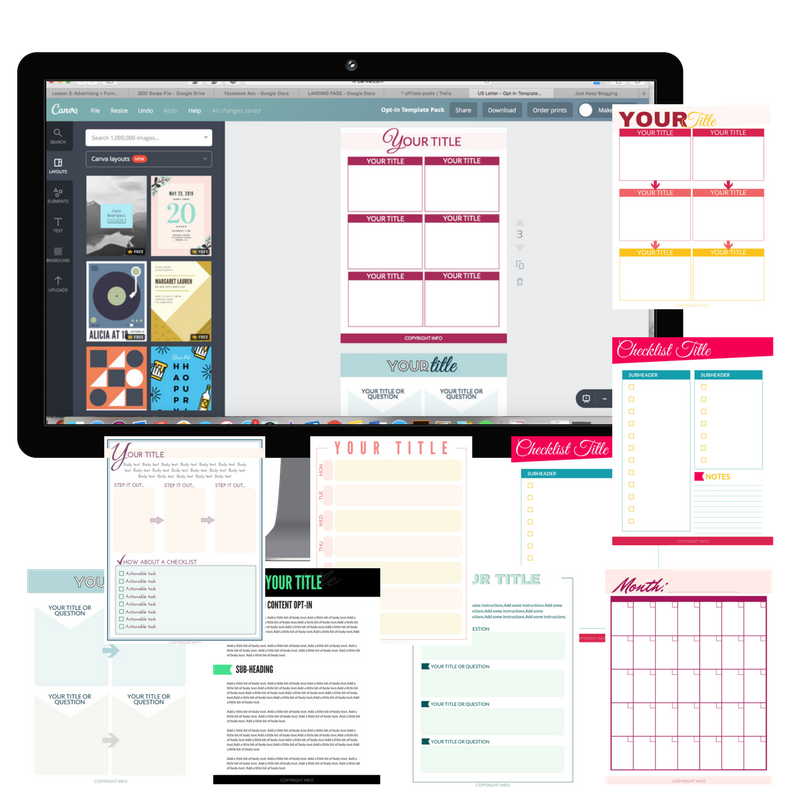 Get instant access to our design library full of FREE templates, tutorials, printables, and design tools!! CLICK HERE TO GET ACCESS! 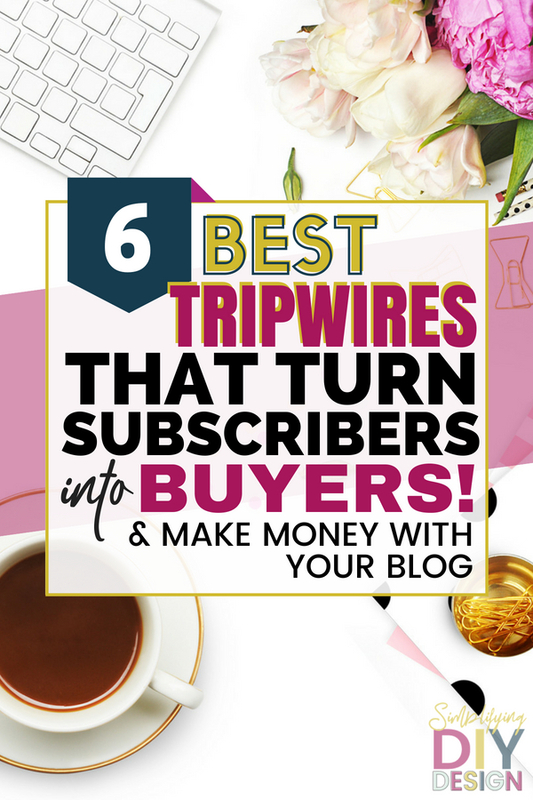 Tripwires are an amazing way to convert subscribers into customers. It’s also a great way to get someone into your sales funnel. It’s a win-win for both you and your reader. You get a subscriber and a customer, and they get an amazing product for a steep discount. But first, let’s start with what a tripwire is. A tripwire is a digital product that is offered after a person subscribes to your freebie. This can be offered right after they subscribe or a few days later as part of your email sequence. The digital product is usually worth somewhere between $15-$47 dollars, but your new subscriber has the chance to grab it for less than $10. Right now, bloggers have noted that “$7” seems to be converting best. The key is that this offer is only good for the next 20 minutes. You will want to make sure there is a countdown timer in the email or on the thank you page (wherever you choose to promote your tripwire). This timed discount creates a sense of urgency that is hard to pass up, especially if you have an amazing product. The idea is to promote the freebie, usually by paid advertising. The person opts in, grabs the freebie, buys the tripwire, and enters into your sales funnel. Related: Need help thinking of freebies? Here are 17 amazing ideas to boost your email. list! This helps grow your list much faster because you are making the money you spent on advertising back (and more) through your tripwire. You will want your product to be well made, but not something so complicated that you can’t make it yourself. If you have been around my site long, you know that I’m very confident that you can make some amazing things just by rocking the basics of Canva. So, what are some amazing tripwire ideas? Workbooks make amazing tripwires, especially if it is related to your freebie. This takes your freebie to a whole new level because your workbook will actually help walk your reader through- giving them so much more value. Plus, you already know they are interested in the topic if they opted into the freebie right? You can even promote your amazing workbook (and more) in a webinar! How cool is that? How to make it: First, have a general outline or some kind of content that goes with it (like a free ecourse, or blog series that can be turned into a workbook). Then, choose your color palette and your design elements. Create the workbook in a way that walks someone through their problem and display the content in a way that builds upon itself. Design your cover and create a 3D model in myecovermaker.com. You can even use our done-for-you Worksheet Templates (completely editable) – just add your content and DONE! Depending on your niche, a journal is a great tripwire too! Journals are very simple to put together, even if you choose to include writing prompts or planning sections. Journals are mostly just lines and people make them how they want it. The key to a journal that sells is the overall design and layout! Get our BEST canva templates, tutorials, and resources for FREE! 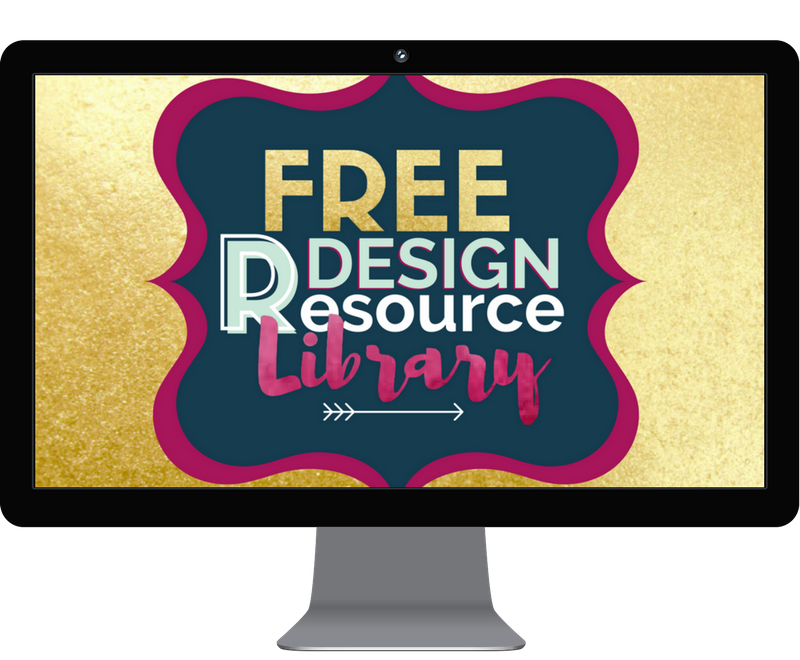 Get instant access to our free library of amazing design tools to help you start rocking graphic design for your blog and business when you sign up for our email list! Templates are hot, hot, hot right now. People love “done for you stuff” and templates are perfect for that. This doesn’t just have to be social media templates, it can work for any niche. 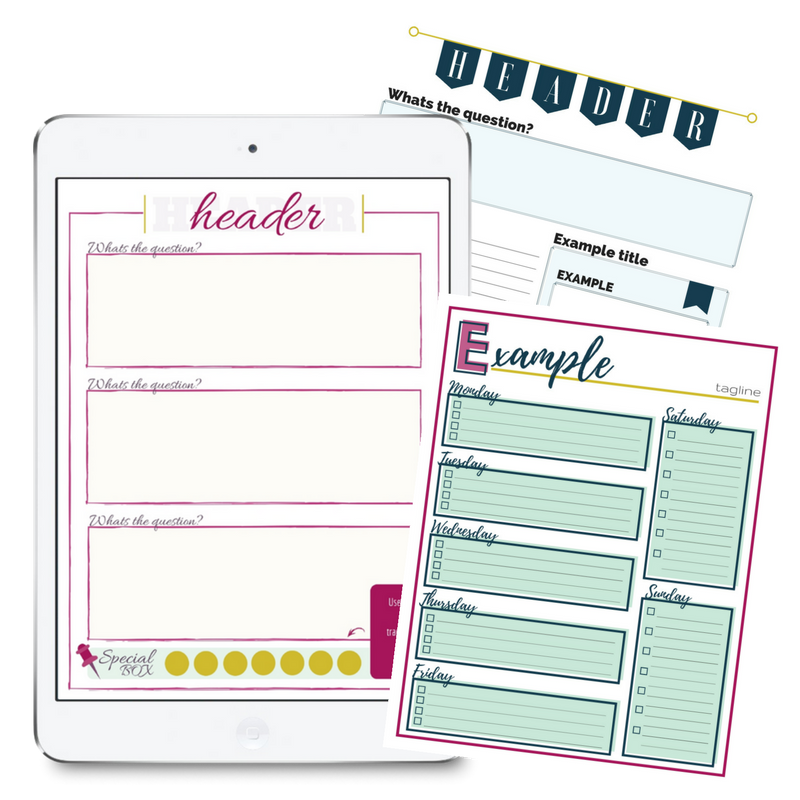 I recently helped a homeschool blogger making daily task templates for her readers. Awesome! Swipe files are popular, especially if you have had success. Say you launched a product and made $10k in sales. You can put together an opt-in with your sales page copy. Then as your tripwire upsell, sell your pre-launch and launch email content. The general idea is that people will use your basic format and personalize it to fit their writing style and of course, their own product. People love to know exactly how other people have had success. But, this can work for anything. I’ve purchased swipe files of all sorts of things, like what to say to brands to get sponsored posts, etc. I’m sure it can work in other niches too like mommy bloggers can have swipe files for how they run their household (chore schedules, bedtime schedules, etc). Basically, you are letting someone in on your secrets and the exact way you did something. How to make it: The easiest way to do this is just to type up your file and save as a PDF and of course, make a pretty cover and offer it after they have opted in for a related lead magnet. For example, the opt-in is: “How to set up a sales page that converts” then offer them a swipe file of a sales launch. Ebooks, especially when repurposing old content, can be a hugely successful tripwire that takes very little time to put together. Put together your existing content, add a little extra to tie everything together and then format it. How to make it: This doesn’t have to be super complicated, I’ve purchased ebooks that were simply nicely designed PDF documents. But you can easily use Canva as well, they even have already made ebook templates (free!). I love planners, as does almost everyone else on the internet. I’ve got several blog planners as tripwires. I know a lot of other niches do things like meal planners, budget planners, organizational planners, life planners, etc. Unless you are super organized by nature, a planner would probably make your life easier. This is usually a huge hit when you are offering some kind of free ecourse or challenge as your opt-in. Like a decluttering challenge paired with an organization planner. How to make it: This takes a little more time and patience but you can absolutely design this in Canva if you don’t have access or knowledge of the more complex programs like Adobe InDesign or illustrator. Trust me, I’ve made many planners in Canva!! Start with a color palette and overall design. Make sure that it’s clean and organized (what good is a planner if it’s a mess, right?). Build it out, give it a cover, and save it as a PDF. Done! 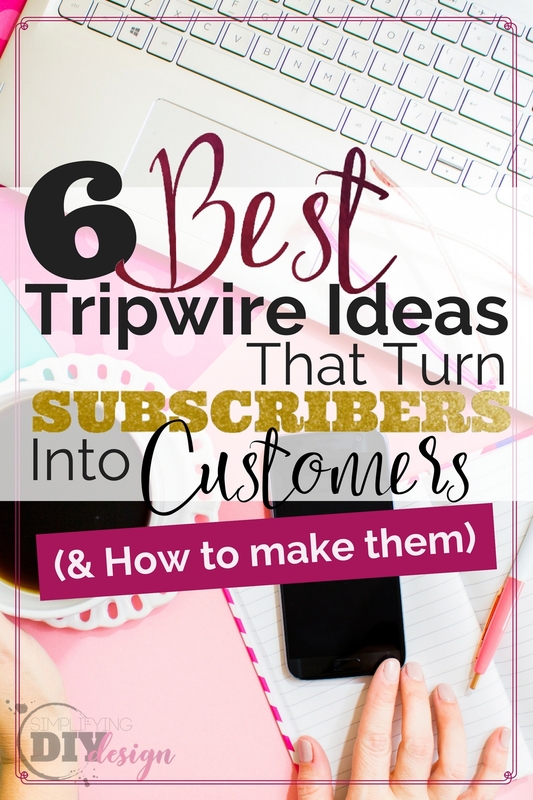 Tripwires convert your subscribers into customers. The tripwire is the first thing they are offered by you before you even get a chance to nurture your relationship with them. It needs to impress them and grab their attention. And more than that, it needs to be a good deal that they simply can’t pass up. But will you grab their attention with your product design? Do you have an idea and just have no idea how to convert it to an actual product (aka, design it)? I can help! If you need help designing your product in Canva, consider using our free or paid templates. Fill out the form below to get access to our free templates, and check out the shop to view our premium and template toolkit bundles! 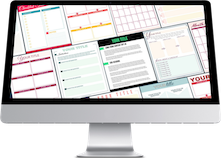 Fill out the form below to access our 10 Opt-in Template Bundle and them to create a killer tripwire (like a workbook!) in less time! By filling out the form, you’ll be added to our email list and get instant access to these templates! These templates are located in our FREE design library, sign up for our email list above and I'll send you the link + password. You'll also get instant access to all of our other templates, tutorials, and design tools! This is a great post Kara! I actually have a free E-course already published. I think I am going to pull the included workbook and offer it as a tripwire. I was wondering, do you have post that shows how to set up the tripwire step-by-step? I am ready to go, just need to know how to do it. Thanks for sharing your knowledge! Truth time. Every single thing you design represents you and your brand. But close is only good in horseshoes and handgrenades. If your social media graphics, products, and lead magnets are not jumping off the page and grabbing people-- they won’t be noticed. You need to stand out. You need to capture people long enough for them to actually read your brilliant words. Simplifying DIY Design is here to help you create astonishing graphics that jump off the page. What does that mean for you? More impact. More growth. More money. Read More! GET ACCESS TO OUR DESIGN LIBRARY NOW! Copyright ©2019, Simplifying DIY Design. All Rights Reserved. Are you a blogger wanting to create better graphics to grow your blog? Hi! I'm Kara and my mission is to teach you how to design better graphics that grow your blog AND provide you super simple, easy to use tools to make it happen! If you'd like to grab our 10 free canva lead magnet template pack just pop your email in the form below and I'll send over access to the designed-for-you templates along with the password to our free library of templates, exclusive tutorials, and design tools :-) Welcome, I'm so glad you're here!!! CLICK HERE TO GET THE FREE TEMPLATES! FILL OUT THE FORM TO BE ADDED TO OUR EMAIL LIST AND GET INSTANT ACCESS TO THESE TEMPLATES PLUS ALL OF OUR OTHER CANVA TEMPLATES, TUTORIALS, AND TOOLS FOR FREE! Design list-growing worksheets in minutes with these done-for-you fully editable canva templates! These canva templates are located in our design library, fill out the form and I'll send you the link + password! I want to grow my email list!